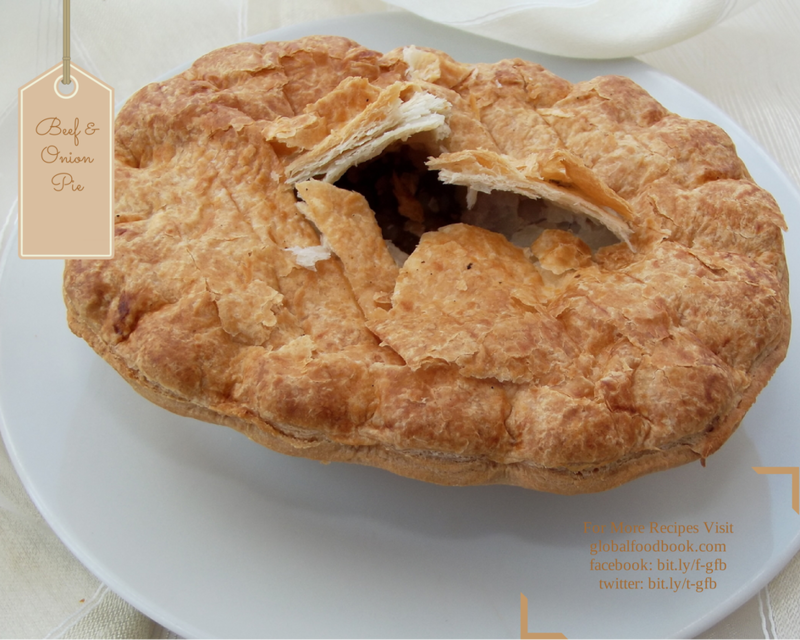 Beef and onion pie is a very easy snack to prepare. I enjoy making it with crusty pastry. This classic savoury beef pie snack is just a perfect recipe for the family. Add olive oil in a saucepan, heat up and stir in onions, carrots and beef. Continue frying until golden brown, then bring down from fire. Add yeast, flour and other seasonings. Add 3 tbsps. of water and simmer for 5mins before bringing down from fire. To make the pastry, add flour, milk, sugar, salt, egg and butter in a clean bowl. Mix and knead thoroughly to form a dough. Sprinkle flour on the kneading board and roll out pastry well enough to cover the base of the baking pan. Add the minced beef fillings over the pan. Then roll out the remaining pastry and use it to cover the fillings ensuring to press the edges well enough to seal it properly. Pierce the top with fork and brush with milk or egg. Bake until golden brown and serve either warm or cold.